Any time is playtime over at Betsson Casino. It first opened in 2003 and is today regarded as one of the leading all-in-one casinos on the net. It isn’t just limited to offering you casino games. They can also cough up poker games, live dealer casino titles, bingo, and sports betting, too. This NetEnt powered casino is Scandinavian in origin and holds a gambling license issued out of Malta. Certified by iTech Labs, the casino can offer gaming in a variety of European languages, including Finnish, Icelandic, Greek, Spanish, Danish, Norwegian, German, French, Czech, Turkish, Swedish, Polish, Portuguese, Italian, and Serbian, such is their reach. 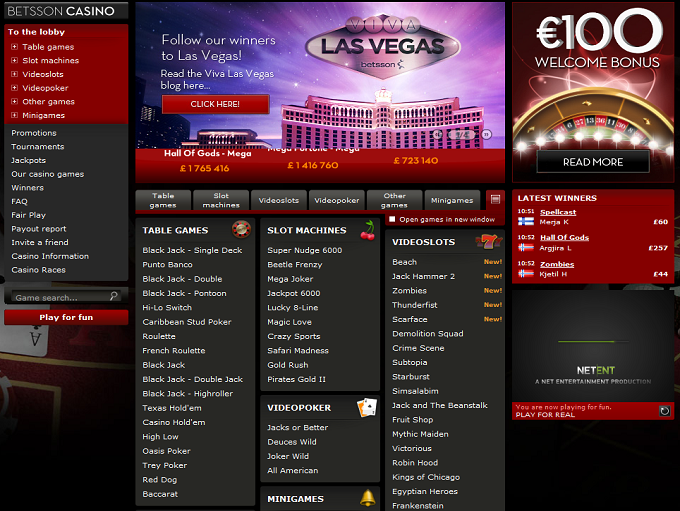 Mobile and instant play casino gaming are both possible at Betsson. 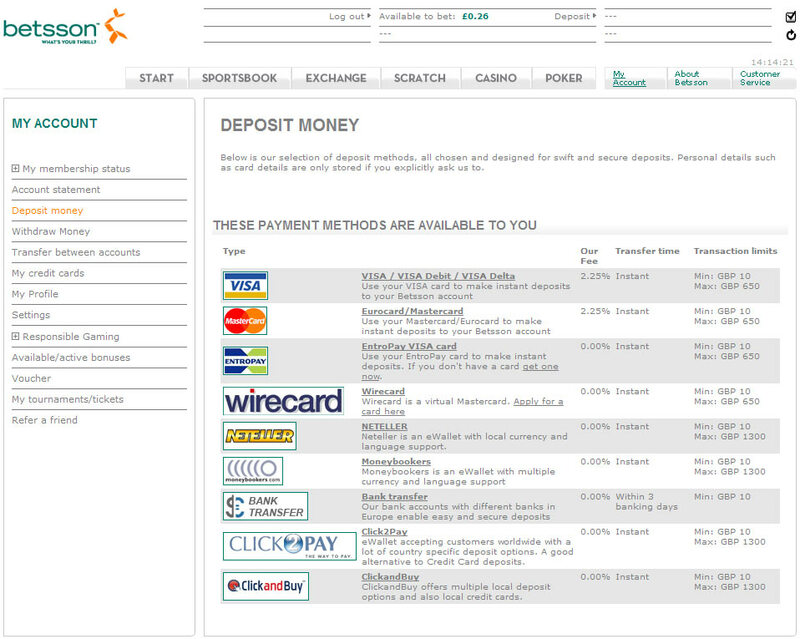 Betsson Casino accepts the euro currency at its domain, so you’re going to have to do deal with that. 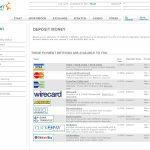 There are plenty of payment methods for you to use, though, including MasterCard, Neteller, Paysafecard, Skrill, VISA, VISA Electron, and wire transfers. If you need help, feel free to obtain it via toll-charged telephone, live chat, e-form, and e-mail. Newbies who choose to sign up and play at Betsson Casino will be able to pocket a 100% match deposit bonus on the very first deposit they make at the online casino. This bonus can double their deposit up to a total of €200 in all. 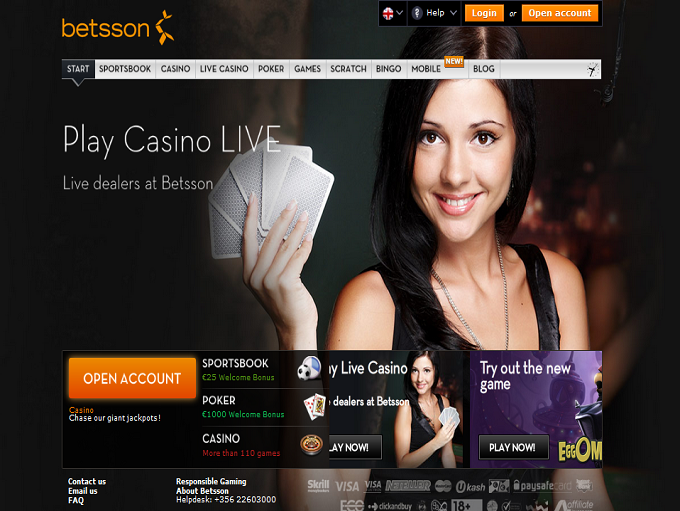 Other promotions and bonuses are also plentiful at Betsson. Continual poker and sportsbook tournaments can be found at this casino, alongside themed roulette and live dealer casino offers. Daily prizes, fresh games, tournaments and a rewarding VIP programme are also part and parcel of Betsson Casino’s casino-based promotions. Although they are mainly powered by Net Entertainment, Betsson Casino also offers software from Blueprint Gaming, ELK Studios, IGT, iSoftBet, Play ‘n Go, and Pragmatic Play. 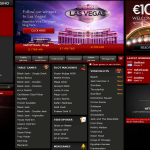 Live dealer games are provided by both Evolution Gaming, and Extreme Live Gaming. If you can’t find the type of game you are looking for in their main casino site, it is always worth checking out Betsson’s poker, live casino games, scratch, or bingo sites. They tend to have a bit of everything if you look around, including baccarat, blackjack, instant win and mobile games, poker and table games, and video poker games. Of course, there’s plenty of slots for you to play at Betsson Casino, too, and the biggest of these include such titles as Leprechaun Hills, Blood Suckers II, Wolf Club, Beauty and the Beast, Gonzo’s Quest, Jack and the Beanstalk, Jazz of New Orleans, Mega Fortune: Dreams, Twin Spin, Piggy Riches, Dead or Alive, Vikings Go Berzerk, Wild Wild West: The Great Train Heist, and the original Mega Fortune progressive jackpot slot. The following countries are restricted at this casino: United Arab Emirates, Afghanistan, Angola, Belgium, Bahrain, China, Cuba, Denmark, Algeria, Eritrea, Spain, Ethiopia, France, French Republic, French Guiana, Guadeloupe, Hong Kong, Indonesia, Iraq, Iran, Italy, Jordan, Korea, Kuwait, Libyan Arab Jamahiriya, Morocco, Marshall Islands, Northern Mariana Islands, Martinique, Mauritania, Mauritius, Malaysia, Norfolk Island, Oman, Pakistan, Puerto Rico, Qatar, Reunion, Rwanda, Saudi Arabia, Sudan, Somalia, Somali Republic, Syrian Arab Republic, Tunisia, Turkey, United States, United States Virgin Islands, Samoa, Yemen.